Big Oaks Conservation Society has invested in the future of Ripley County by establishing an endowment fund with the Ripley County Community Foundation. Big Oaks chose the Community Foundation’s annual Day of Giving matching event to start their fund because they received a 50% match on their donation from Lilly Endowment Inc.’s GIFT VII matching funds program. Big Oaks Conservation Society is a non-profit organization dedicated to maintaining and improving Big Oaks National Wildlife Refuge. The Wildlife Refuge spans 50,000 acres, most of which are in Ripley County, and provides food and shelter to a variety of plant and animal species for the purpose of conserving and restoring biodiversity in the area. The Big Oaks Conservation Society, or Big Oaks Friend Group, shares the Wildlife Refuge’s mission and works to enhance public awareness of the refuge, develop environmental education, and support wildlife conservation and habitat restoration. The History of Big Oaks National Wildlife Refuge and the Big Oaks Conservation Society is a unique one. The land encompassing Big Oaks National Wildlife Refuge began as Jefferson Proving Ground and was established by the U.S. Army in 1940. The grounds acted as an ordnance testing installation, or an area where the Army tested bombs, but closed in 1995. The U.S. Fish and Wildlife Service began managing the former Jefferson Proving Grounds in 1996 and Big Oaks Refuge was established in June 2000. 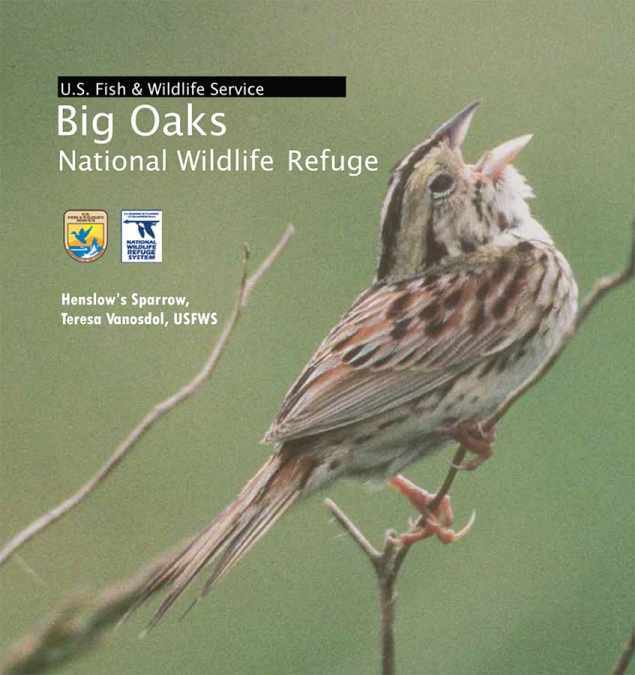 Big Oaks Refuge functions as an “overlay” national wildlife refuge through a 25-year real estate permit from the U.S. Army. As an overlay refuge, the Army retains ownership and the Fish and Wildlife Service manages the property as Big Oaks National Wildlife Refuge. The Endowment Fund started by the Big Oaks Conservation Society with the Ripley County Community Foundation will allow Big Oaks to continue their mission of conservation and ensure the sustainability and presence of the Big Oaks National Wildlife Refuge in the community. In October RCCF announced that it had received $500,000 from Lilly Endowment Inc.’s GIFT VII initiative to use to match donations to RCCF. This matching opportunity has generated a great deal of interest and is available only while GIFT VII funds last. Citizens and organizations can take advantage of this opportunity to be a part of GIFT VII and use it to start new funds or to grow the fund of their choice. Stop by 13 E. George Street, Suite B, Batesville, IN 47006 or call (812) 933-1098 for more information.